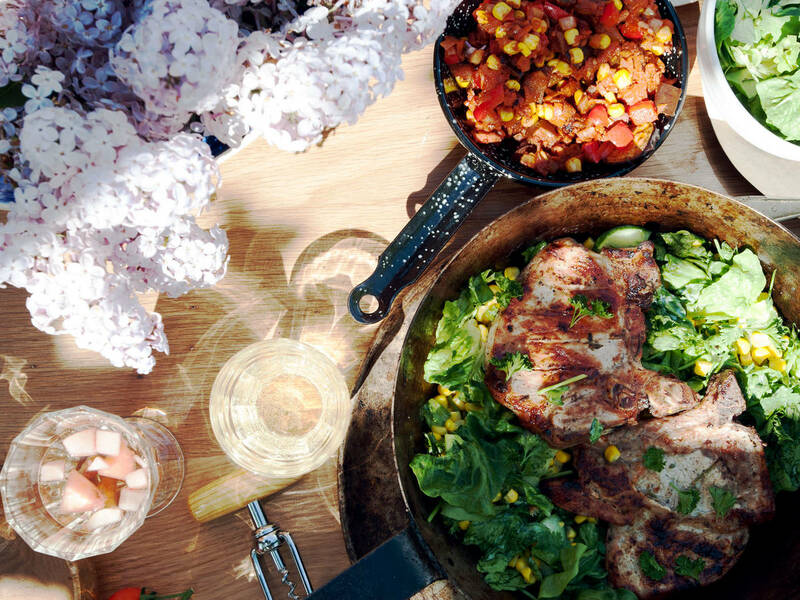 Besides the fact that it’s obviously delicious, pork is a wise choice for summer cooking and group events due to the fact that it’s relatively inexpensive. There are also a lot of great cuts of pork to choose from, including chops, ribs, and tenderloin steaks. Additionally, pork is chock full of vitamins and minerals to boost your health, like B1, B12, Iron, and Zinc. Check out the following three pork recipes from our archive and incorporate them into your warm weather feasts! Pork and fruit go together like bees and honey. The apricots in this barbecue sauce wonderfully play off the two types of mustard, and everything is given a beautiful depth by the addition of dark beer. You’re sure to impress with this dish. These fried chops are hearty and delicious. The yogurt dipping sauce with lemon juice and fresh herbs and the corn salad provide the perfect counterbalance, leaving in your mouth an inviting taste that is both savory and refreshing at the same time. Pork spare ribs are the stuff that dreams are made of, especially in this recipe. By cooking the ribs at a low temperature in the oven first, you end up with succulent, tender meat. The mouthwatering marinade of apple and pomegranate juices with soy sauce is also nothing short of dreamy.